You get to work and the first thing you do is check your email. Well, almost first. Maybe you pour a cup of coffee before you check your email. Next thing you know, you’re in meetings, back to email, then you’re scheduling meetings. Email. Meetings. Scheduling. More email. It seems difficult to squeeze in time for anything but Gmail and Google Calendar. Office workers spend an average of 2.5 hours a day on email, writing 40 emails and checking their inbox 15 times. It is no wonder there is often a sigh of weariness when approaching the topic of inbox management and scheduling. 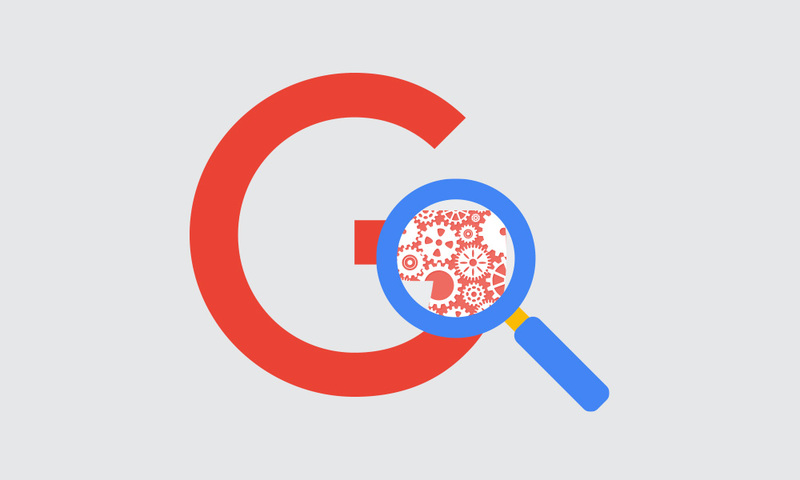 Luckily, there are seven hidden G Suite features that can boost your productivity and help you save time on administrative tasks. Propose a new time for a meeting. 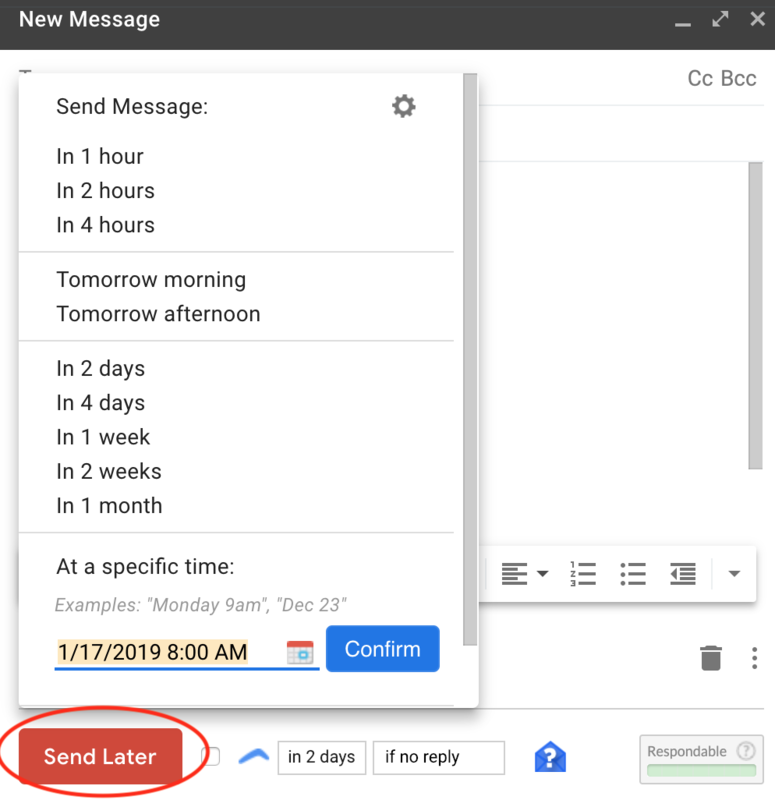 In mid-2018, Google Calendar implemented the coveted ‘Propose a New Time’ feature, a feature Microsoft Outlook users have been using for years. It is especially useful when you are double-booked for a meeting where you are not the organizer. 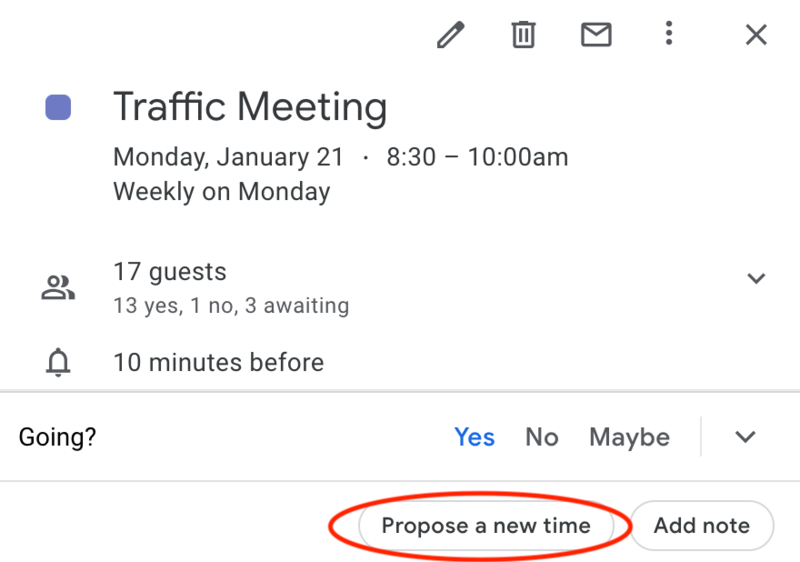 Instead of declining, this new feature allows you to propose a new time and date for the meeting. Schedule group meetings with suggested times. 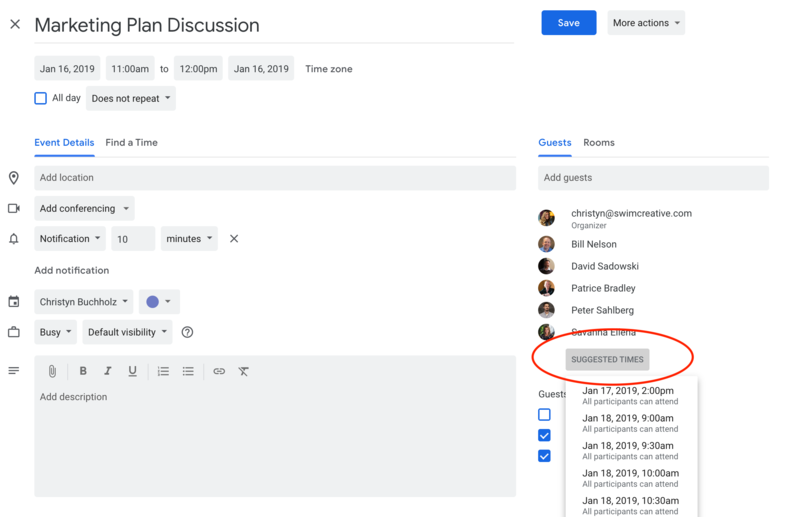 When scheduling for a group of busy people, this feature is a lifesaver. No more scrolling through the weeks looking for a scheduling gap. Let Google tell you when everyone is next available*. *Note: You will need access to view their calendars in order for this feature to function appropriately. Transfer ownership of a meeting. Depending on how you set up an event in Google Calendar, only the owner has certain editing privileges. While you can allow guests to modify the event and invite others, sometimes it happens that you no longer want to own the event. When I am busy focusing on a task, there is nothing worse than seeing the number of unread emails climb. If you are like me, you have to read the latest email. Pausing my inbox is the best way for me to stop getting distracted by incoming mail. This feature is available for free if you download Boomerang for Gmail. Additionally, Boomerang allows you to enable a custom auto-responder while your inbox is paused, similar to an out of office message. Beneath the Compose button on the left, there will be a Pause Inbox button. 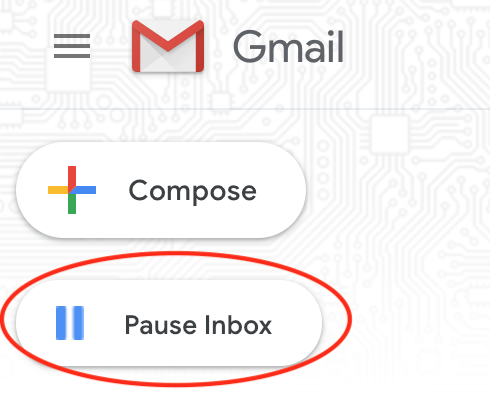 Once you click Pause Inbox, you will have the option to edit & enable an auto-responder message. You have drafted the perfect email but it is not the correct time to send it. Now what? Instead of writing it and letting it sit in your drafts hoping you will remember to send it you can schedule it! 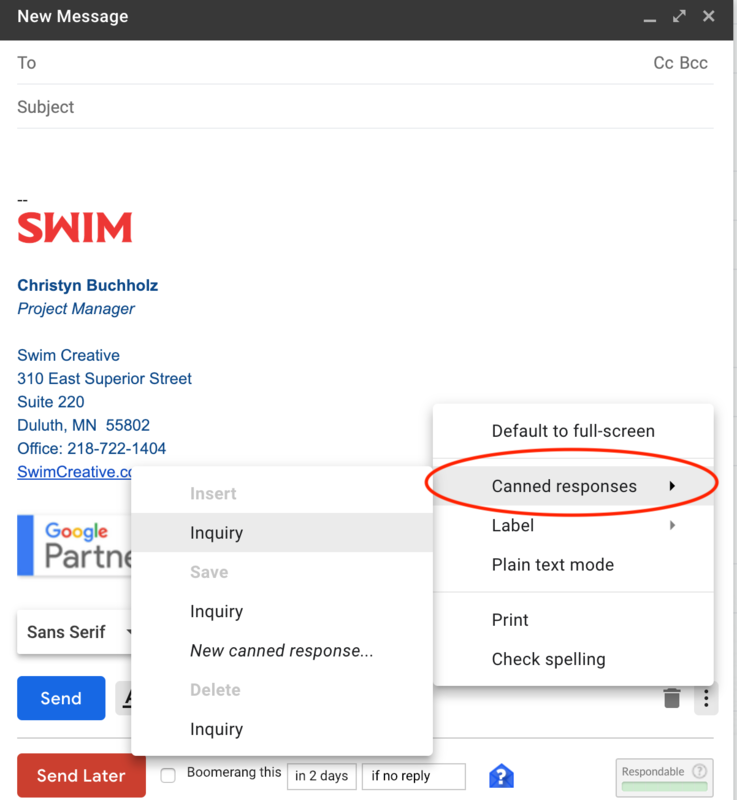 In your composed email there is a red Send Later button below the blue Send button. Click Send Later. Choose the time and date that you would like the send your email. Sometimes, we all get a little send happy. And, it is always after you send an email that you realize you should have added one last thing or fixed that glaring typo. Thankfully, Google has an ‘Undo Send’ feature that allows you to unsend an email for up to 30 seconds after you send an email. What G Suite features do you use to improve your productivity? Share in the comments below.